Around the world, 663 million people lack access to clean drinking water. Unfortunately, disinfecting contaminated water can be an elaborate, costly and time-intensive procedure – for example, disinfecting water with UV rays can take up to 48 hours, limiting the amount of water that can be treated. A new device created by researchers at Stanford University and SLAC National Accelerator Laboratory solves this problem: it’s a little black rectangle that harnesses the sun’s light to disinfect water in 20 minutes flat. While the rectangle looks like a simple block of black glass, it’s actually covered in nanostructured molybdenum disulfide. The thin flakes are staked together sideways so that their maze-like edges are exposed to the water. When the block is placed in water and then left in the sun, it reacts with the sunlight and the water, forming hydrogen peroxide and other antibacterial chemicals. Soon after, the chemicals dissipate and leave crystal clear water behind. The reason this device works is because molybdenum disulfide is a photocatalyst, releasing electrons which cause chemical reactions to take place in the water. While it’s a promising new development, it can only disinfect water, not filter it. So industrial pollutants would still need to be a concern in many parts of the world. The technology still requires more research before it can be used in the field, since it’s unclear exactly which strains of bacteria can be eliminated using this process. 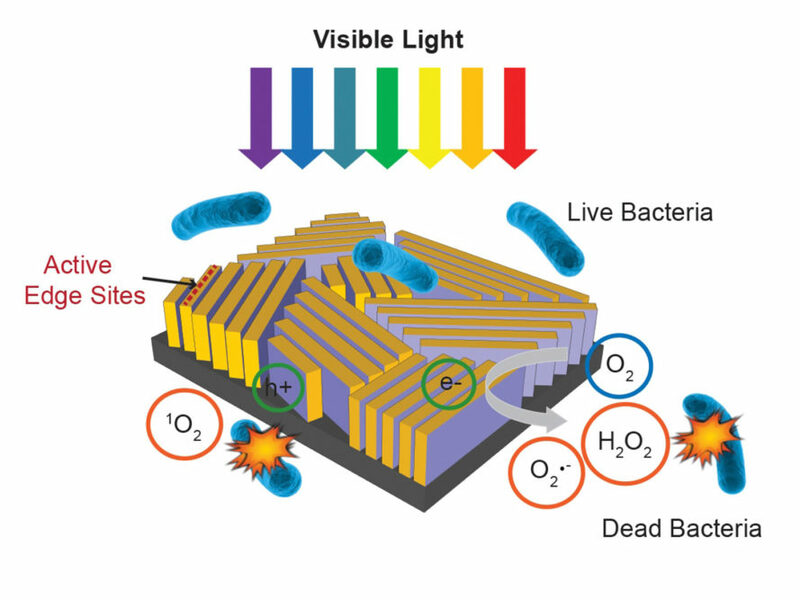 Stanford University researchers have created a small device that disinfects water when exposed to sunlight. This diagram shows how the device captures sunlight and creates a reaction with the surrounding water. 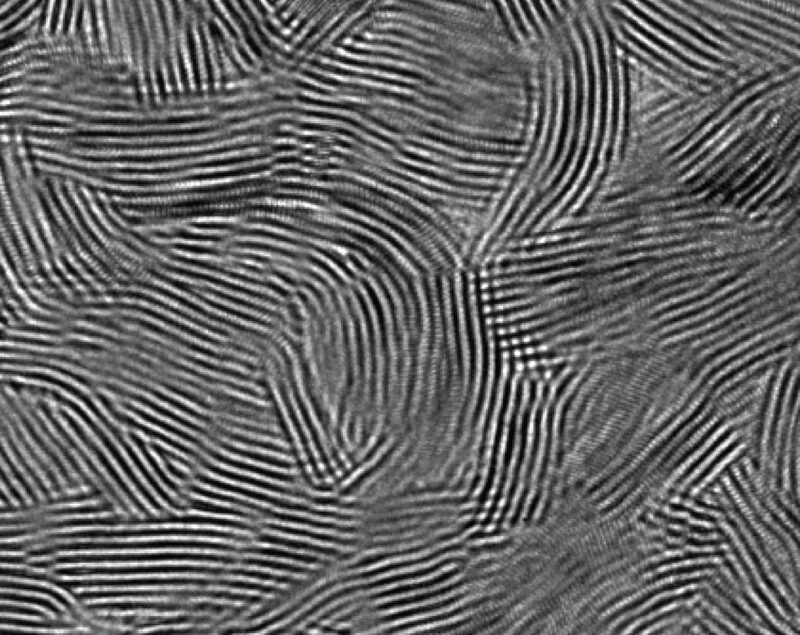 This image shows the structure of the device's surface through an electron microscope.